I can't leave this idea alone! Maybe it's the bleak cold grey January making me want to snuggle up in comfy clothes, or maybe it's my poor swollen tum. I'm struggling with gall stones and currently waiting to hear about surgery to remove my gall bladder. No fun at all, not least because my abdomen is so swollen and tender, so much so that most of my usual favourite dresses are not as comfortable as I'd like, and even though they still fit, I'm very self concious about my bloated tum. I bought this dogtooth check poly/wool sweater knit in Abakhan on Friday, think I paid about £6 for 2 metres. It has slightly more body to it than the sweater knit I used for India's sweater top, and it feels like a higher poly content. Again, I used my third draft of this pattern, but added a decorative exposed zip at the centre back. 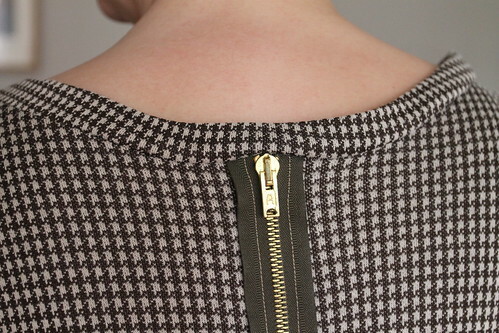 I've never been a fan of exposed zips, but I think it works well on this design. I did consider making it a working zip, but the dress doesn't need it to function, so why make extra work for myself ? Ideally I'd have placed the zip a little lower, you can see here how it is pulling rather more than I'd like at the back neckband. Next time! I am though, really very pleased with this pattern, might have to play a little more with it, but so far so good. Cute! It looks super comfy and the exposed zipper is a fun touch. 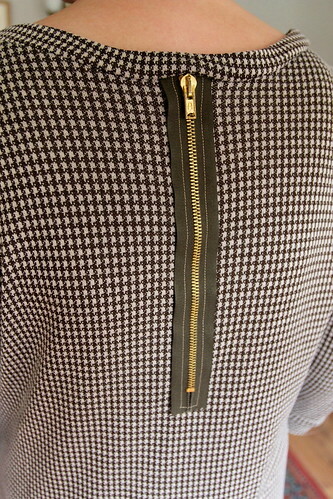 Thanks Bobbi, I never thought I'd like an exposed zipper, but I really do, even if it is only decorative. Prayers and healing vibes re the gallstones and surgery. Thanks San, yeah they are horrible, really affecting my everyday life now. Everyone tells me I will feel so much better after surgery. You make a swollen tummy look lovely. Best of luck with your surgery. Thank you Rhonda, I'm dreading surgery, but hoping I wont have to wait too long too. 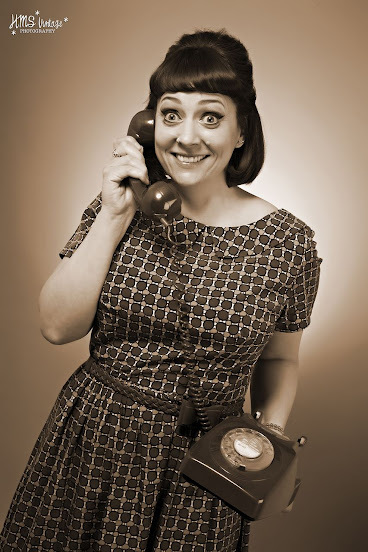 Oh no, gallstones are H.O.R.R.I.B.L.E! Hope you get some good news soon! 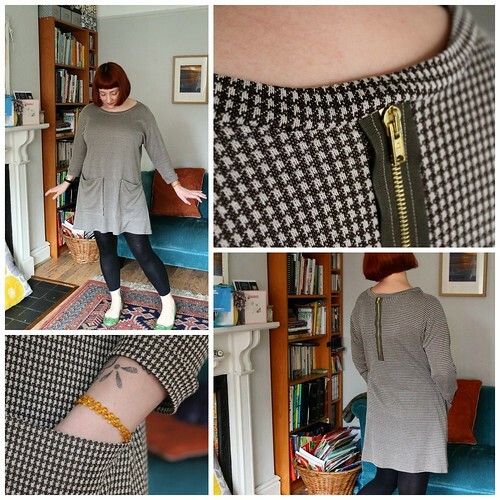 Love this latest Doris and not usually the biggest fan of exposed zips, but this totally works! Loving your Dorises...Dorii? Yes they are horrible, really horrible. You made me laugh wondering what the plural of Doris is! Cute! Sorry to hear about your gallbladder - my mom just had hers removed and she feels SO much better. It's a pain, but worth it in the end, I think. You poor thing, it must be painful, I'm impressed you are still sewing. 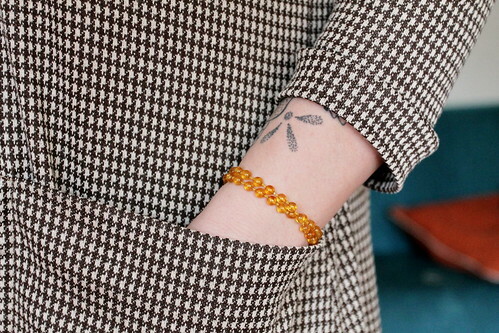 I hope you don't have long to wait, Think this is my favourite, the dogtooth looks great. Sewing is the last thing I give up Mags, although yesterday I spent an entire day on the sofa which is very out of character for me. 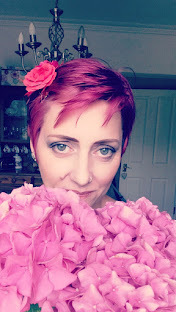 Thank you Helen, gall stones are awful, never thought I'd be wishing for surgery! You look like a fabulous model, I like your skirt and shoes. You're gorgeous, beautiful! !